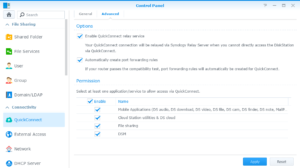 With QuickConnect, you can easily connect your Synology NAS to the Internet. 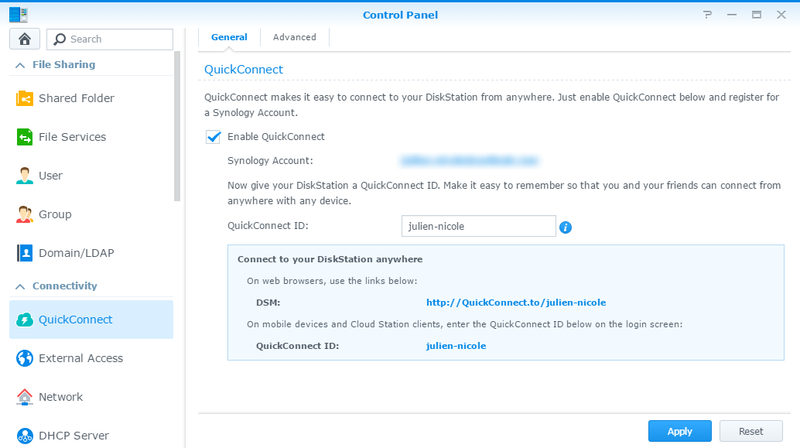 QuickConnect allows you to connect to DiskStation (french post) or other Synology packages (another french post) via an ID or a customizable url like http://quickconnect.to/. 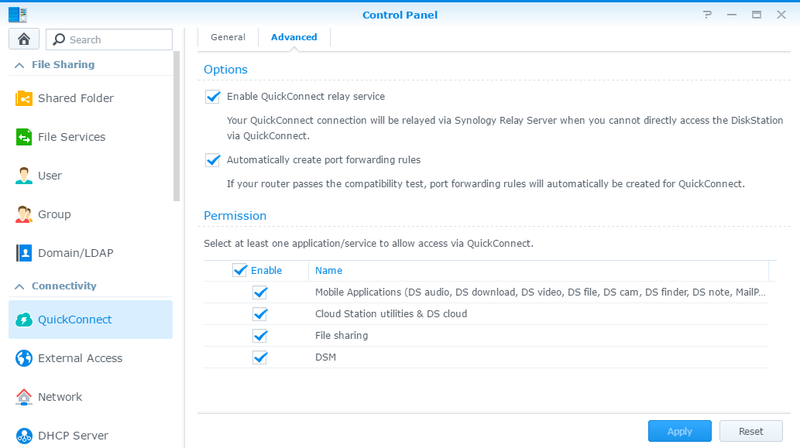 How to make Synology NAS accessible over the Internet? 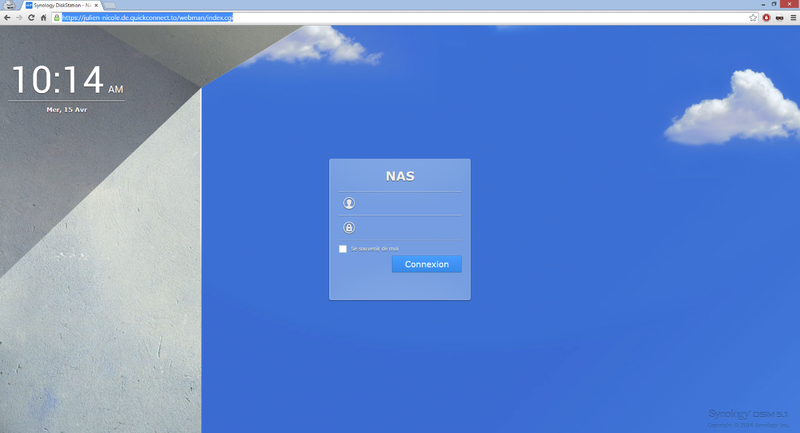 Go to the Control panel of your NAS, then QuickConnect. 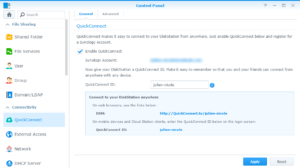 Check the Enable QuickConnect. You need to create a Synology Account or login to an existing. 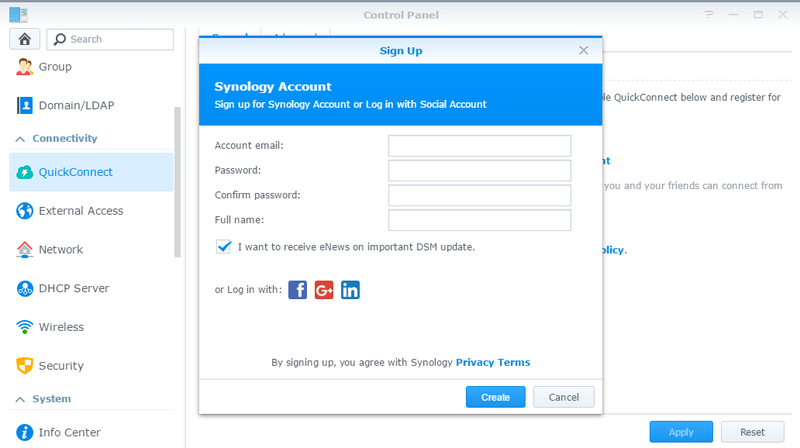 Click the link Log in to or register a Synology Account. A new window opens. Enter your email address, a password and your name and confirm the account creation. The next step is to select a QuickConnect ID. A custom QuickConnect ID can include letters, numbers, and hyphens ("-"), and must start with a letter. Access options by clicking the Advanced tab. You will be redirected to the DiskStation connection interface. This entry was posted in Synology NAS and tagged Synology Configuration on 05 August 2016 by Julien Nicole.